On the eve of jailed US pastor Andrew Brunson’s second court hearing in Turkey, growing international comment has focused on Turkish President Recep Tayyip Erdoğan’s transparent “hostage diplomacy” tactic, one of several issues seriously souring his nation’s relations with the United States. The upcoming 7 May hearing near Turkey’s third-largest city of Izmir marks Brunson’s 19th month in custody. According to statistics released last week by the Turkish Justice Ministry, the Protestant pastor is one of 35,000 suspects under arrest and awaiting trial in Turkey on suspicion of supporting the accused perpetrators of a failed coup attempt against the Turkish government nearly two years ago, on 15 July 2016. After 23 years in open church ministry in Turkey, Brunson was detained during Ankara’s widespread crackdown against the government-labelled Fethullah Gülen Terrorist Organisation (FETO), led by a self-exiled Turkish cleric living in the US for the past two decades and accused of launching the deadly coup attempt. Erdoğan has insisted repeatedly that Gülen be extradited back to Turkey, declaring 14 boxes of documents had been sent to the US Justice Department to prove Gülen’s guilt. The US has cited a lack of sufficient judicial evidence to authorise US courts to expedite the aged imam’s forced return to Turkey. Last September, Erdoğan publicly proposed Brunson as a political bargaining chip, suggesting that if the US would send Gülen back to Turkey, the American pastor could be sent back to the US. The offer came four months after US President Donald Trump had surprised the Turkish President during his state visit to Washington, asking him in person to release Brunson. Most recently, after the first trial hearing against the pastor, Trump declared in an April 18 tweet that Brunson was “on trial and being persecuted in Turkey for no reason”. One Turkish journalist said “there has been no single conversation between Trump and Erdoğan where the US President did not say Brunson’s name”. Only seven weeks ago, the pastor and his Turkish lawyer finally learned the specific allegations on which his charges of alleged espionage and terrorism are based, most of them from “secret witnesses”. The prosecution has demanded 35 years in prison if Brunson is convicted of these charges, all of which he denied in his six-hour defence before Izmir’s 2nd Criminal Court on 16 April. More than 50 members of the European Parliament wrote to President Erdoğan today (4 May), protesting Turkey’s treatment of the Protestant pastor “as a bargaining chip”. Expressing “deep concern about the wrongful imprisonment of Pastor Andrew Brunson,” the letter reiterated the Parliament’s resolution on 7 February, urging Turkey to respect its European and international commitments on the prohibition of arbitrary detention by releasing Brunson. The letter also protested the indictment’s association of “Christianization” with terrorism, implying the Christian faith to be endangering Turkey’s unity. The signatories included Lars Adaktusson and Peter van Dalen, the vice-chair and co-chair, respectively, of the European Intergroup on Freedom of Religion. Just last week, the US Congress passed legislation introducing “hostage-taking accountability” against Iran, notorious for its long-time habit of using this ploy against the citizens of Western nations as a tool of its foreign policy. The new US laws enacted on 25 April mandate sanctions against Iranian officials responsible for “wrongful, politically motivated jailing of US citizens”. Condemning the practice of prolonged, politically motivated detentions as “a crime against humanity and a violation of customary international law”, the statutes go more strategically beyond blanket sanctions, which penalise all the Iranian people; instead, they target specifically the Iranian officials involved in hostage-taking. Washington Post journalist Jason Rezaian, himself held as a political hostage for 18 months in Tehran by the Iranian government during the high-level negotiations over the Iran nuclear deal, applauded what he called “a long-overdue move” to curb “this particular bad habit” of hostage-taking. 1993 – present US Protestant pastor Andrew Brunson involved in legally recognised church-related Christian ministry in Turkey. 15 July Deadly military coup attempt against Turkish government fails; Ankara blames network of US-based Turkish cleric Fethullah Gulen for coup, seeks Gulen’s extradition from US. 20 July Turkish President declares state of emergency (still in force), suspending certain judicial practices; 110,000 public officials dismissed, 35,000 Gulen suspects under arrest, awaiting trial. 7 October Brunson detained with wife Norine, in Alsancak police station, Izmir; told he would be deported within 15 days as “threat to national security”. 19 October Norine Brunson released from police detention. 20 October Andrew Brunson moved to Harmandali Detention Centre (outskirts of Izmir), placed in solitary confinement. 9 December Summoned (with lawyer) to closed hearing at Izmir 2nd Criminal Court. Charges changed to “membership in an [unnamed] armed terrorist organisation”. Placed under formal arrest in overcrowded group cell at Aliaga Sakran Prison (45 miles from Izmir). 20 December US Senator James Lankford meets Turkish Justice Ministry officials in Ankara, the capital. 29 December Izmir court rejects lawyer’s appeal to release Brunson. 3 January Unnamed senior Turkish official to Wall Street Journal says claim that Brunson’s arrest related to his religious affiliation is "ludicrous". 15 February 78 US Congress members write to Turkish President Erdogan, urging him to release Brunson. 9 March Turkish Prime Minister Yildirim tells USA Today it's a “nonsensical” idea that Brunson held hostage until Turkish cleric Gulen’s extradition from US; says pastor’s case could be "accelerated". 28 March Brunson sends appeal letter to US President Trump. 30 March US Secretary of State Tillerson meets Norine Brunson in Ankara. 15 May American Center for Law & Justice files petition to UN Human Rights Council for Brunson’s release. 16 May Trump asks Erdogan in person during Washington DC visit to release Brunson. Late May-June Flurry of Turkish media allegations against Brunson link him with Gulen movement, armed PKK separatists, CIA, "missionary" activities. 30 May Erdogan promises "retaliation" vs. countries holding Gulen movement suspects. 7 July Washington Post reports Turkey’s swap offer to exchange Brunson for release of millionaire Turkish-Iranian prisoner Reza Zarrab, facing trial in New York for evading US-led Iran sanctions. 17 July Brunson moved to shared cell in Kiriklar Maximum Security Prison in Izmir’s Buca district. 24 July New charges of “espionage & insurgency” against Brunson reported in Turkish press. 24 August Izmir judge initiates video conference call with Brunson and his lawyer; pastor informed his official criminal charges are “spying and insurgency”. 25 August New "state of emergency" Executive Order No. 694 authorises Erdogan to arrange to swap Turkish citizen prisoners for foreigners jailed in Turkey. 28 September Erdogan publicly declares swap offer of Brunson for Gulen’s extradition. 5 October Two representatives of US Commission for International Religious Freedom visit Brunson at Kiriklar Prison. 15 November Brunson’s daughter Jacqueline addresses US Helsinki Commission hearing, Washington DC. 3 January Brunson’s 50th birthday. 11 January Erdogan vows no extraditions to US until Gulen returned from US to Turkey. 23 January US delegation visiting Ankara raises Brunson’s "wrongful detention". 9 March Jacqueline Brunson addresses UN Human Rights Commission, Geneva. 13 March Written indictment against Brunson leaked to Turkish press. 16 March Indictment accepted by Izmir 2nd Criminal Court; first trial date set for 17 April. 26 March Brunson’s North Carolina Senator Thom Tillis visits him at Kiriklar Prison. 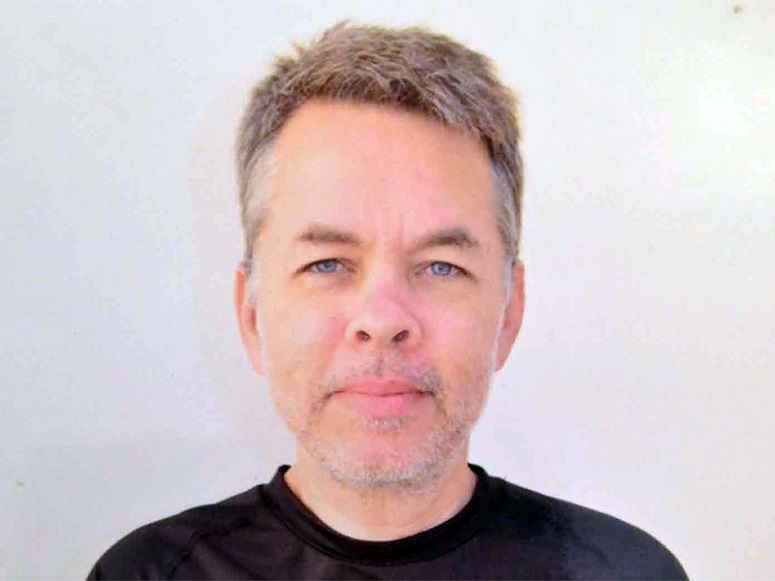 17 April First trial hearing: Brunson denies all charges, three prosecution witnesses testify; observed by US Ambassador for International Religious Freedom Sam Brownback and Senator Thom Tillis. 7 May Second trial hearing: includes 11 hours of testimony, one from a secret witness who, identity concealed, appeared on video in the court. USCIRF's vice-Chair Sandra Jolley attends. 18 July Court rules Andrew Brunson must remain in prison, dashing hopes of his imminent release. 25 July Court orders Andrew Brunson to be moved from prison to house arrest. 14 August Lawyer appeals arrest & travel ban to Izmir 2nd Court. 17 August Izmir 3rd Court rejects lawyer's appeal. 12 October Released from custody and allowed to leave country. Court convicts Brunson and sentences him to 3 years, 1 month and 15 days, but releases him because of good behavior and for time already served in detention.